Are newest Long Island remains victims of a different serial killer? (CBS/AP) NEW YORK - Police have confirmed that the most recent remains discovered near a Long Island beach highway are human. But according to reports, the bodies are too old to be connected to the first four victims found, which means they might be the victims of a different Long Island serial killer. The New York Post writes that police have not definitively linked all the remains found in the past five months to the same suspect, but they have said four escorts who advertised on the website Craigslist who were found in December were likely victims of a serial killer. Police happened upon the first set of four remains while searching for a missing New Jersey prostitute last seen in a nearby community nearly a year ago. That woman has yet to be found. 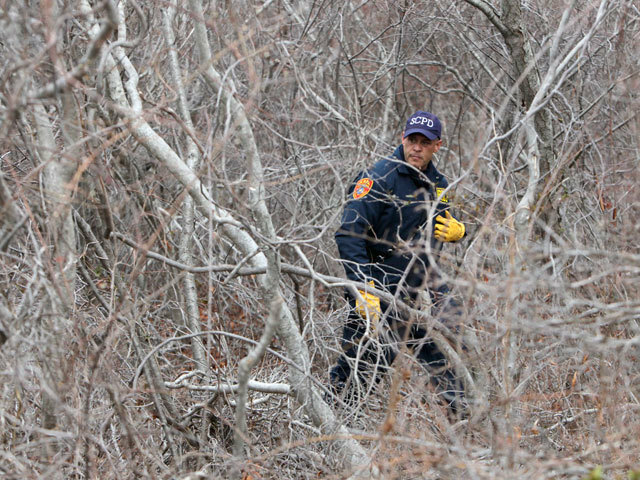 Police searching late last month along Ocean Parkway discovered a fifth body, which prompted authorities to commence a widespread search involving dozens of officers, dogs, helicopters, mounted units and volunteer firefighters. That effort led to the discovery April 4 of three more sets of remains, and two more on Monday near Jones Beach State Park. Among the more recent six sets of remains, none has been identified by gender, and police have not indicated a cause of death, nor have they tied them to the four bodies found in December. State and Nassau County police wrapped up a search of several miles of Ocean Parkway on Tuesday; officials in neighboring Suffolk County finished a four-day search last week. All the police agencies said they were open to returning to the barrier island to resume searches as developments warrant. Detectives said it appears some victims had been dead for a long time. The first of the women found late last year went missing in 2007; a second in 2009 and the remaining two in June and September 2010.